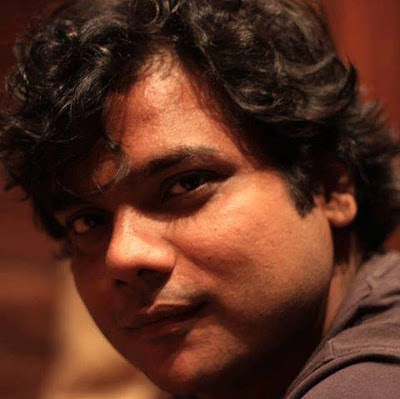 So, for this month instead of any writer, an Actor from Indian Acting fraternity "Manil Mayank Mishra"
I come from a small town of Uttar Pradesh, Aligarh which boasts of its rich culture, Gothic buildings and a lot of poetry in the air all around. Though my roots go back to a small village near Shahjahanpur, again a small town famous for its colonial history, participation in the freedom struggle and industrial houses. Our family, specifically my parents, has always been known to be contributing, vibrant and vehement in opinion making which includes active public life in Politics and Civil Services. The legacy includes my Great Great Grandfather who being a Police Sub Inspector in the British forces turned into a revolutionary killed one English official and was later hanged. His mausoleum still exists. I would always want to be known as the son of a great father, great grandfather than being an actor. My abilities can never match those people’s who brought me into this world. 1. How did you first get involved in acting, are you an imaginative person? I didn’t get involved in it per se. The surroundings actually drove me in it. I come from a college in Delhi University (Kirori Mal College) which has vastly contributed to the Indian Cinema and Indian theater. Though I was never involved with Players (the Dramatic Society of our College) as I was heavily into debating, somehow I realize now, that a large part of my heart was into acting. So, interestingly, this too was known to my fellows in Players as well. Yes, I think my mind allows me to imagine. In fact, everyone is imaginative else the world would be a barren platform of crude realities. Since I do a lot of poetry as well, I think acting, poetry or writing are just an extension of the imaginative stretch of a beautiful mind. I create, therefore I exist. 2. What do you find most challenging about your acting? It's romance, romantic characters and expressing your heart out to someone on stage or on camera. Though my viewers and my co-actresses say I am quite good at it but deep down I know its hard for me to pretend romance. which is why most of the stories and scripts (be it Khushfahamiyaan, Khushfahamiyaan 2, Khushfahamiyaan –Bass Itti Si and now Khwaab Dum – B – Dum) which I have written and directed as films or on theater are romantic because I really need to know what I don’t know. Isn't it? 3. What do you do when you are not acting? Many things, in fact. I can lie on my bed for grazing the ceiling of my rented apartment for hours imagining voluptuous stories and ideas. I read about anything. I can read a book cover to cover like a zillion times if it interests me. I like how the author describes his book rather what’s in it. I drink a lot of coffee. I don’t watch Television or films. I prefer speaking on phone than these WhatsApp messages. I remain connected with people who love me. 4. Where do you see yourself 6 months or 5 years down the road from now? Nowhere. I don’t plan things. I think that mother nature has a better understanding of me. My past and my present keep me grossly occupied and I don't think about future. Nature does its best all the time. 5. How do you keep coming with content for your acting? As in, there is no particular school of thought of acting I believe in. I take stories, expressions by speaking and interacting with people who otherwise are not connected to me. Strangers in cabs, lorry drivers, couples sitting in a garden, Ice cream seller, lonely men, and women etc. 6. What’s is the best thing an actor can give to his viewers? That’s just one, inspiration. 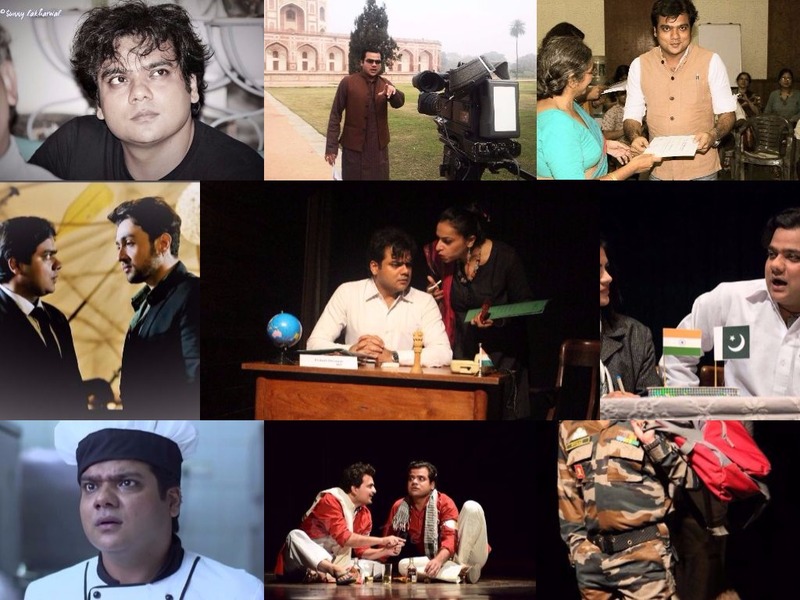 If any actor on stage or camera inspires even one man or woman in the audience to be an actor beyond entertainment, I think he has done his job. Anybody can entertain, only a few can make you an entertainer. 7. Under whom and where you got the training of acting? None. Nowhere. With all due respect to the premiere acting schools of the nation, I don’t think acting can be taught but it can always be learned and you don’t need an institute to do that. The world around and people attached are teachers of every day. Plus, barring NSD, FTII, SRFTII and a few more, rest everyone has mushroomed acting institutes as a source of minting huge money. So, there is no point. Just, rectify the mistakes of your childhood and you will be a great actor. Done deal! 8. What role would you like to play? I would definitely wish to play a substantial character of an Army guy or a teacher. Though I have played both, however, I still find my solace in them. I have played a lot of romantic characters but that isn’t where I would call myself an actor. I am bad at romance. 9. Do you have a preference of theatre or film? See. I do a very specific type of theatre where we write our stories and don’t perform adaptations etc.. So, any day I would love to work for a theatre which gives you a cinematic feel and film which gives you a theatrical understanding. 10. Who would be your dream crew? Haha. That’s tricky but to be truly honest, a female actor who has a plush pronunciation of Urdu, a camera man who knows more than me when I am directing, a male actor who looks good and is respectful to even a spot on the sets and yes, a dedicated guy to me who takes care of my shades and coffee. All I want is my actors should have spent more time in a library than in a gym. 11. What would you do If you couldn’t act anymore? That day wouldn’t come because I will die before that. 12. Any challenges if you have faced in your career? Many. To top the list, the reluctant producers who don’t want to invest in a new story and don’t want to change the trend. Secondly, hunting for actors. This Mac Donald generation has literally devastated our fundamentals. 13. If not an actor, what another profession you would have chosen? I really never thought about it but yes, if not into acting, I would have been a father to a great son and a beautiful daughter, an Army Captain into Infantry or else teaching Political Science in Delhi University. 14. Any advice you want to give to the aspiring actors? Of course, read good books in the initial years of your childhood, watch less (that in fact is more of ideal parenting). Try getting into some good acting school but if you can't, don’t lose heart, you don’t necessarily need an institute to teach you acting. Run rather than hitting a gym. Try mixing up with someone who doesn’t belong to your society and never ditch in love.